Loose Cushion Lilac, Purple and White including roses, lisianthus, freesia, chrysanthemums in elegant soft tones. Size 20 inches / 50 cm. 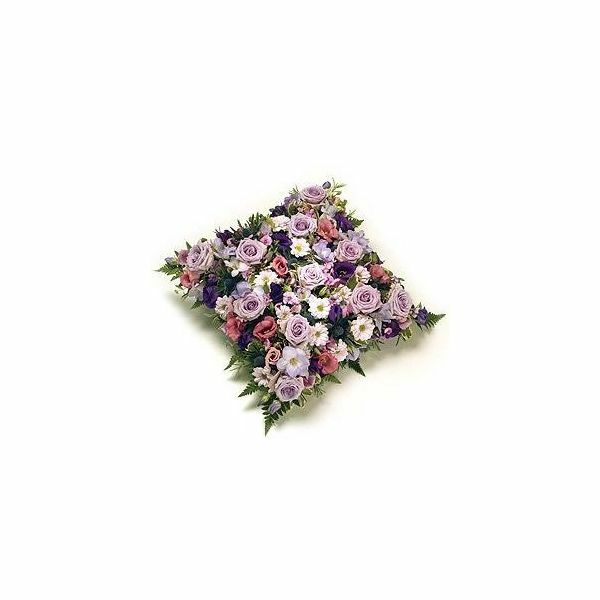 We use only the best quality flowers and foliages when we hand-make your funeral flower order. If you are less than truly satisfied by the arrangement, please let us know straight away and we will do our very best to put things right.